All Aboard the Bookshelf: Gift Card Giveaway in May! Gift Card Giveaway in May! 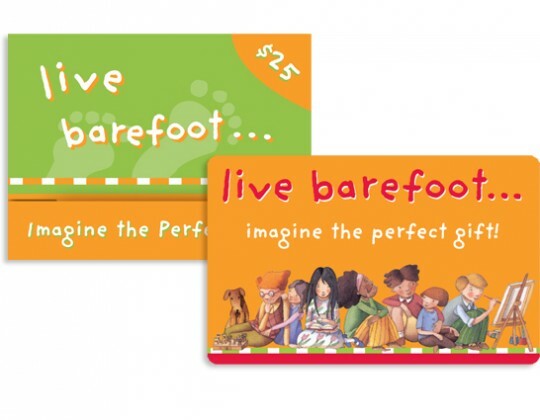 I am giving away another $25 Barefoot Books gift card! Go to my Barefoot in Boston Facebook page to enter! Enter by May 31, 2012 for a chance to win a gift card that can be used at the Barefoot Books on-line store or at the studio in Concord, Massachusetts! You should fill out the form to be entered even if you already "Like" my Facebook page - you are not entered unless you fill out the form. BONUS! If Barefoot in Boston on Facebook reaches 200 "Likes" by May 31 - I'll choose TWO winners to each receive a $25 gift card! So tell all your friends to enter too!